Planting potatoes. 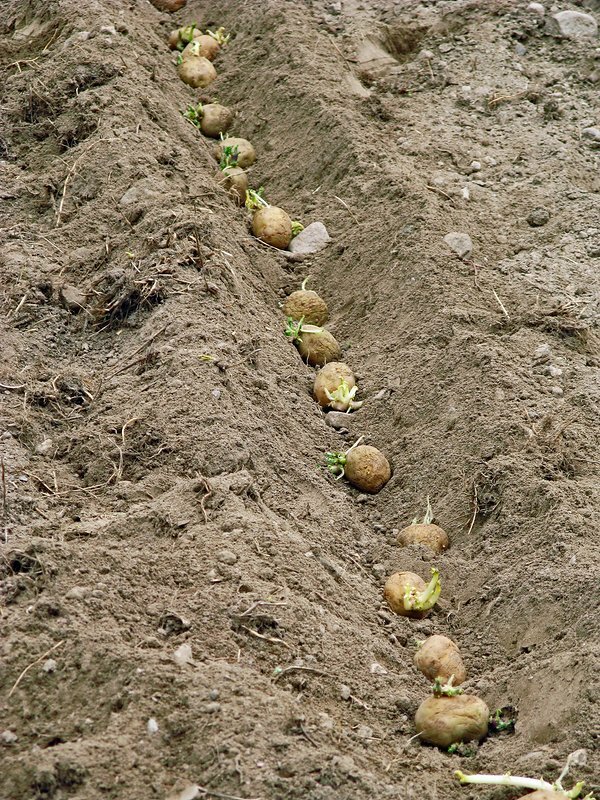 Seed potatoes being planted in a trench. Photographed in Sweden.